Coronary angioplasty is a minimally invasive way of improving the blood supply to your heart. It is useful in people who have significant narrowing in the arteries to their heart and are troubled with angina, or have presented with an acute heart attack. The procedure follows on from an angiogram and may be undertaken on the same sitting in some circumstances. It is worth reading the section on coronary angiography first, to get an overview of the procedure. Once the angiogram pictures have been taken, a very similar tube (guide catheter) is passed up the arm (or leg) to the blood vessel which has the narrowing. The principle of angioplasty is very simple. A small, often very soft wire is passed through the tube (guide catheter) and down the blood vessel. It passes between the narrowing in the coronary artery, following the normal path of blood flow. Once beyond the narrowing the wire is fixed and then acts as a guide, allowing the passage of a tiny balloon which tracks over the wire. The balloon is placed between the narrowing and inflated to expand the blood vessel in the narrowed area. The balloon is then taken off the wire and replaced with a stent. This is a very small mesh like structure (see image above for illustration) that is mounted on another balloon. The stent is positioned once more between the narrowed area and the balloon is inflated. As the balloon expands, the stent opens and is pushed against the blood vessel, where it offers support to the vessel wall. The balloon on which the stent is delivered is once more deflated and removed leaving the stent in the blood vessel. What can I expect of the experience? As with many medical encounters, the thought of the procedure is often worse than the actual experience. In many patients the procedure is very straightforward. Angioplasties do vary considerably in terms of their complexity, with procedures normally lasting between 40 minutes and 2 hours. It is common to be offered a mild sedative medication for the procedure, although many people cope very well without. Patients are awake during the angioplasty and can talk to their doctor. While this may sound daunting, it is simply a positive reflection that general anaesthetic is not required, due to the minimally invasive nature of the procedure. Local anaesthetic is administered at the site of access in the wrist or groin, which goes very numb. It is common for doctors to give medication in the wrist to dilate the blood vessels. This can give a warm sensation in the arm, or sometimes a short sensation like pins and needles. This passes very quickly, so do not be alarmed if you feel a strange sensation in your arm. While pictures are being taken and dye is injected into the blood vessels, most people are unaware, but a small proportion of people do notice some chest tightness. This is often nothing to be concerned about, but if you experience it, then let your doctor know and they can reassure you. A minority of patients experience a funny taste in their mouth secondary to the contrast dye that is used. The doctors inflate the balloons for short periods of time to widen the blood vessel. This decreases the blood flow in the blood vessel temporarily, until the balloon is deflated. The balloons are normally only inflated for a matter of seconds to a minute. Interestingly, this often reproduces the symptom of angina that had been experiencing before the procedure. This previously was also related to inadequate blood flow during exertion but will not worry your doctor as it is expected and transient. Will I need to take medication after my stent? All stents require the use of antiplatelet medications such as Aspirin, Clopidogrel, Prasugrel or Ticagrelor after implantation. These medications decrease the effectiveness of platelets in the blood, that are important for forming blood clots. It is normal for patients to take two different antiplatelet medications, with different mechanisms of action, to prevent blood clots forming inside the stent and causing a blockage. A double medication strategy, increases the effect of the medications, but also protects individuals who may be naturally resistant to one of the medications. A proportion of the population for example are resistant to the effects of Aspirin and others to Clopidogrel. The chances of an individual being resistant to two medications is very small. Drug eluting or bare metal stents? Commonly used stents fall into two broad categories, those that are ‘drug eluting’ and those that are not, called ‘bare metal stents’. Both types have different advantages and disadvantages. Drug eluting stents have medication near the struts, that is slowly released into the tissue immediately next to the stent. This medication dampens the immune response, preventing exaggerated growth of tissue inside the stent. 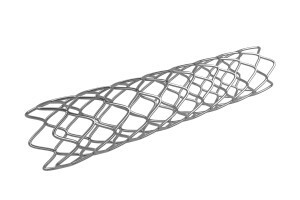 Drug eluting stents decrease the likelihood of stent re-narrowing known as restenosis. Bare metal stents do not release any medication to dampen the immune response and so the healing process is more prominent and quicker. If we were to look inside the blood vessel at the stent, after a period of time, we would often see that layers of cells have grown over the stent. At this stage the risk of a blood clot forming on the stent struts is much lower, as the circulating blood is not in contact with the stent. 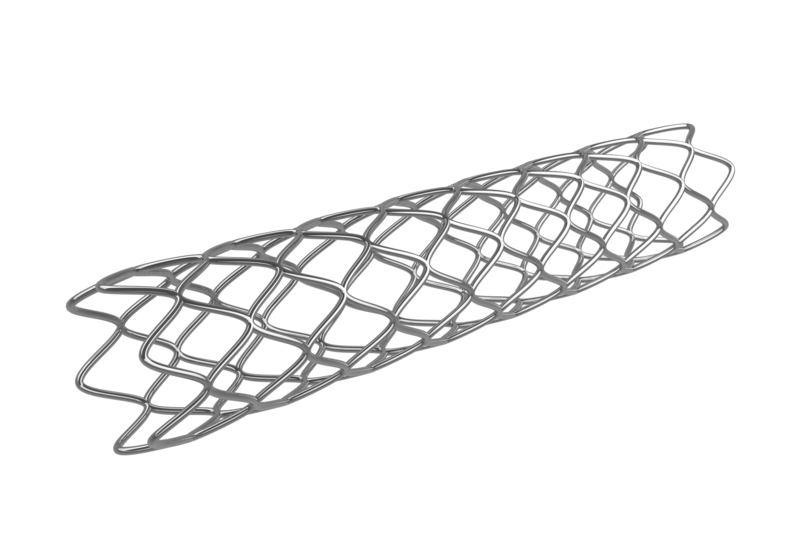 Drug eluting stents in preventing re-narrowing, slow down the process of healing and cell growth over the struts. There is a need to take two antiplatelet medications for longer, to protect against blood clots while the delayed healing takes place. Doctors will commonly advise you to take two antiplatelet medications for 12 months after a drug eluting stent, after which point most people will continue with a single medication, often Aspirin alone. After a bare metal stent the healing takes place very quickly, so often the advice will be to take two antiplatelet medications for a month only, then revert to a single medication life long. This is a particular advantage for those patients who need their medication decreased to allow another procedure such as a non cardiac operation. Your doctor will be happy to discuss with you the relative merits of each stent type, in your particular situation and guide you in terms of the optimal time to take anti-platelet medication.